If the main event of the European Poker Tour Grand Final (EPT Grand Final) of Monaco has just started inside the Monte Carlo Bay Resort, the Super High Roller at 100,000 and the France Poker Series (FPS), two events in the program of the great poker festival of Monaco, have already crowned their champions. 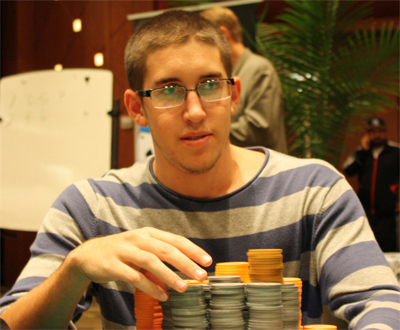 Concerning the Super High Roller, the trophy has been attributed to Daniel Colman. This 23-year professional of online poker has overcome a field of 62 players composed by international stars. For this achievement, the American has won the bracelet of 10,000 made by Shamballa Jewels and the first prize amounted at 1,804,000. Let us note that he confronted with his compatriot Daniel Cates in the final duel. The public has thus attended to an original meeting between two aces of poker. As runner-up, Cates has pocketed 1, 305, 000. Igor Kurganov completed the podium and has got a reward of 1,128,300. Concerning the event France Poker Series at 1,000 + 100, its trophy is between the hands of the Ukrainian Lurii Nesterenko. Chipleader at the beginning of the final table, the latter has showed his supremacy. He was even the author of the elimination of Gabriel Nassif, one of the favorites of the meeting. Thanks to his victory, the Ukrainian has pocketed 150,000. Its about the second major title because as a reminder, Nesterenko is elected champion of the tournament No Limit Holdem at 600, during a stage of the Russian Poker Tour which has taken place in Kiev.